Tariffs are commanding headlines in the U.S. and around the world. Now that the current administration has imposed tariffs on China and many other U.S. trading partners, and those countries have responded with retaliatory tariffs, how will this all affect the manufacturing industry? According to the Federal Reserve Bank of Dallas, the proposed steel and aluminum tariffs would likely trim a quarter percent from the U.S. gross domestic product over the long run. Are Trade Wars in Our Future? 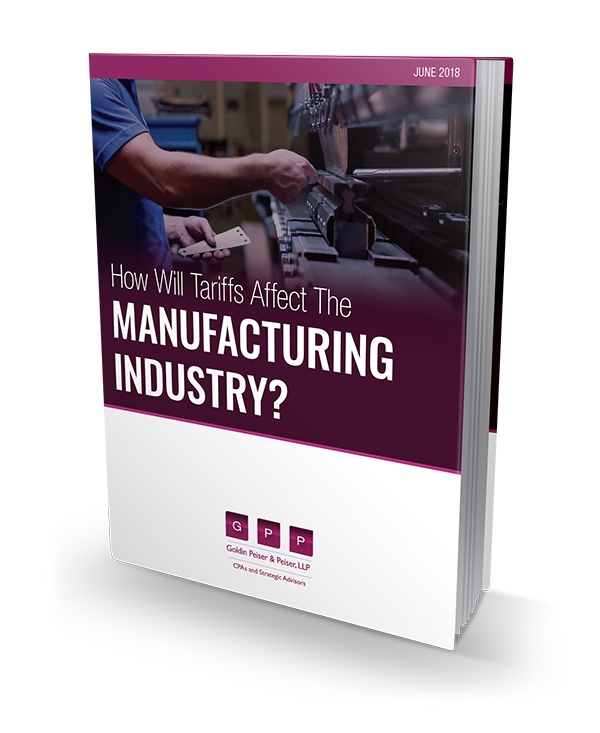 Please complete our form below to receive a comprehensive and insightful look at the impact tariffs could have on the manufacturing industry. We will continue to monitor quickly changing developments in the months ahead.